Considering the amount of stress most of us are dealing with on a daily basis it is no wonder we have a weakened immune system which makes us susceptible to even the mildest bacteria and viruses which are running rampant during the winter months. Let’s look at several strategies to help you build up your immune system and keep it strong so even if you come across someone with a cold your immune system will be strong enough to fight it off quickly. Without a doubt lack of sleep is the number one reason many of us have weakened immune systems, so if you aren’t already hitting approximately 8 hours a night then you know the first step to take. If you’re having trouble falling asleep leave 30 minutes before bed time to have a warm relaxing shower, and a fun book to allow your brain to shut off gradually. Writing down your thoughts in a journal so you can deal with them tomorrow is always a great idea as well. If you’ve tried all these and still can’t fall asleep then you may want to try a natural sleep aid like Optimum Melatonin or USPLabs PowerFull which don’t have major side effects like prescription sleeping pills. I came across a cool study in Japan which tested the immune system of men who walked through a forest 2 hours a week compared to those who mainly did their cardio sessions inside or inside the city. What they found was the hikers had a 46% increase in their blood levels of natural killer cells which are our body’s SWAT team agains invading viruses. The reason this happens is that trees release airborne elements which not only protect their own foliage from microbes but also help to stimulate our immune system. Pretty cool hey? I’d like to take this challenge myself and get a fun hike through the forest on the weekends, anyone else up for taking this challenge with me? 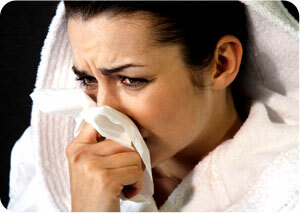 Build Up Your Immune System: Echinacea or Vitamins? There are many studies which support the effectiveness of echinacea as an immune system but I would also say that most of these studies are not double-blinded independently tested as they should be. It’s incredible how effective the mind is giving us a placebo effect when we think we are taking something that will boost our immune system. On the other hand, when it comes to vitamins there isn’t much that can be said about the validity of Vitamin C. Natural occurring vitamin C from fruits and veggies is by far the best but it can never hurt to take a vitamin C supplement on a daily basis as this anti-oxidant is a great immune system booster which also fights cellular damage from chemicals in our foods and environment. Considering a bottle of 250 capsules is just over $10 this definitely is worth the investment try this one – NOW C-1000. Australian scientists found that people who chew gum had a 17 percent drop in their stress levels compared to those who didn’t chew gum. I don’t think there is much more to say than try chewing gum during times when you are really stressed out to see how this affects your mood! I think you’ll be surprised by the results. I hope this article gave you some simple strategies to put in place in order to help you build up your immune system. One thing that I didn’t mention was drinking a ton of water to help you flush out any toxins in your system. Hydration, sleep, hiking, gum and some Vitamin C will give you the boost you really need so sickness doesn’t get in the way of your training and being at your best, its’ worth it isn’t it? The post Build Up Your Immune System appeared first on Weight Loss & Training.